• Alabama Biography - History of Alabama and Dictionary of Alabama Biography, Volume 3, by Thomas McAdory Owen, Marie Bankhead Owen, © 1921, p.86. • Helion Lodge - Past Master, 1910 & 1911. 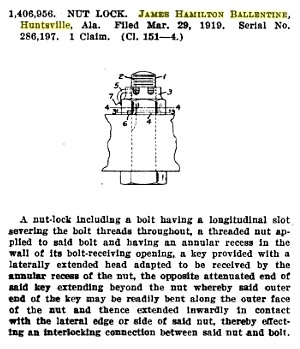 • Patent Office Gazette - Official gazette of the United States Patent Office, Volume 295 By United States. Patent Office, page 394. 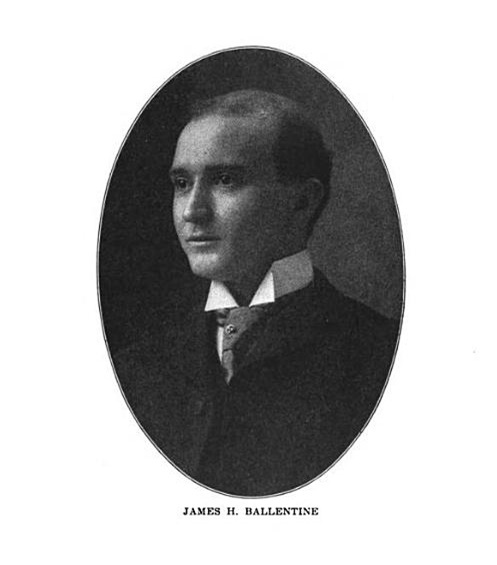 This might not be the same James Hamilton Ballentine of Huntsville AL but the time frame makes it possible.